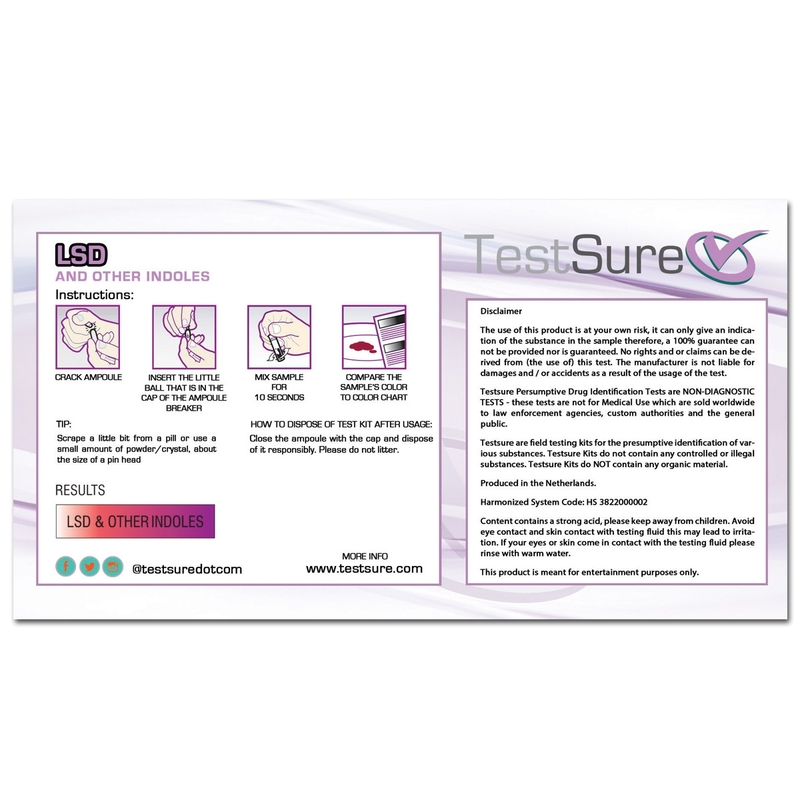 TestSure’s reagent LSD test kit was designed to help you identify if a substance is in fact LSD. 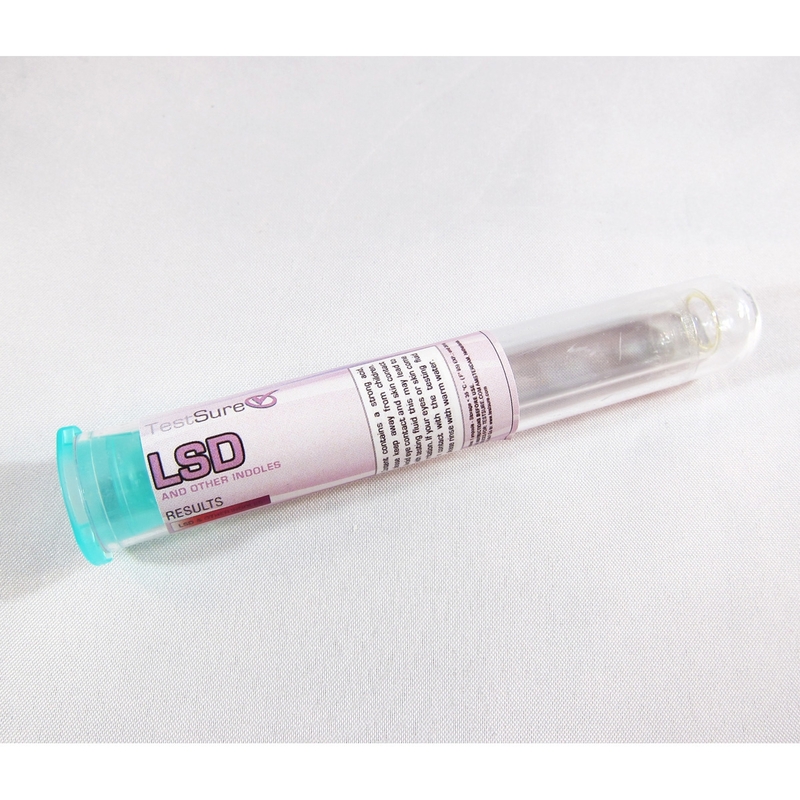 LSD is a powerful psychedelic drug that causes hallucinations. 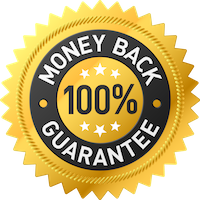 Abuse of LSD can have severe long term side effects including flashback hallucinations and brain damage. 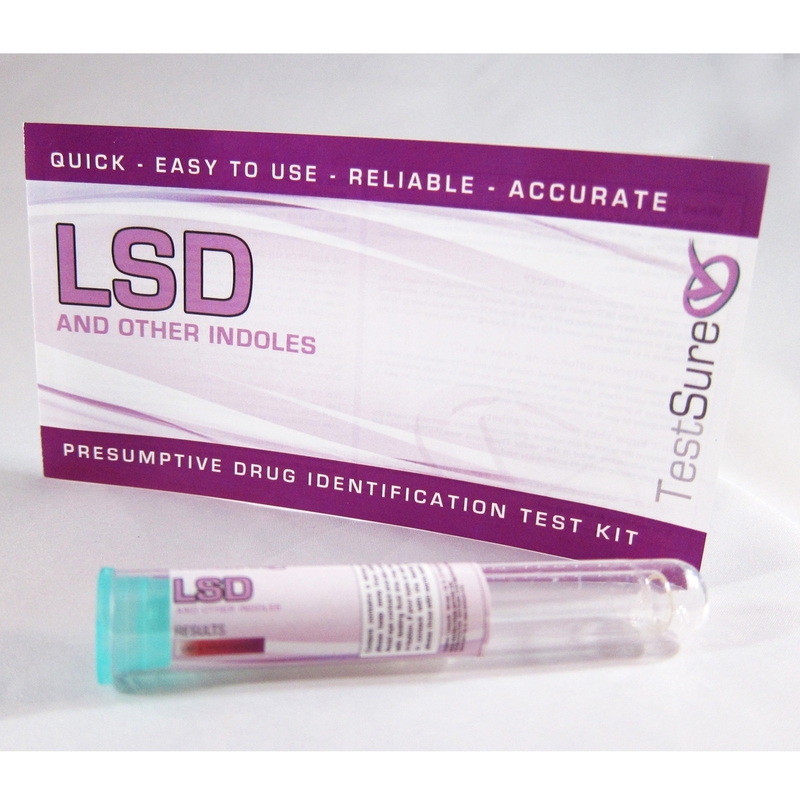 Our LSD test kit is the same field test kit used by forensics and drug enforcement agencies to determine whether or not a substance is LSD. 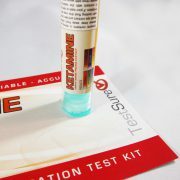 The test kit comes with instructions and is extremely easy to use, and you’ll know within minutes if a substance is LSD. 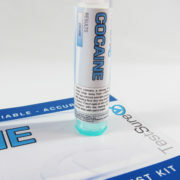 Step 2: Take a small amount of the sample and insert into the tube. 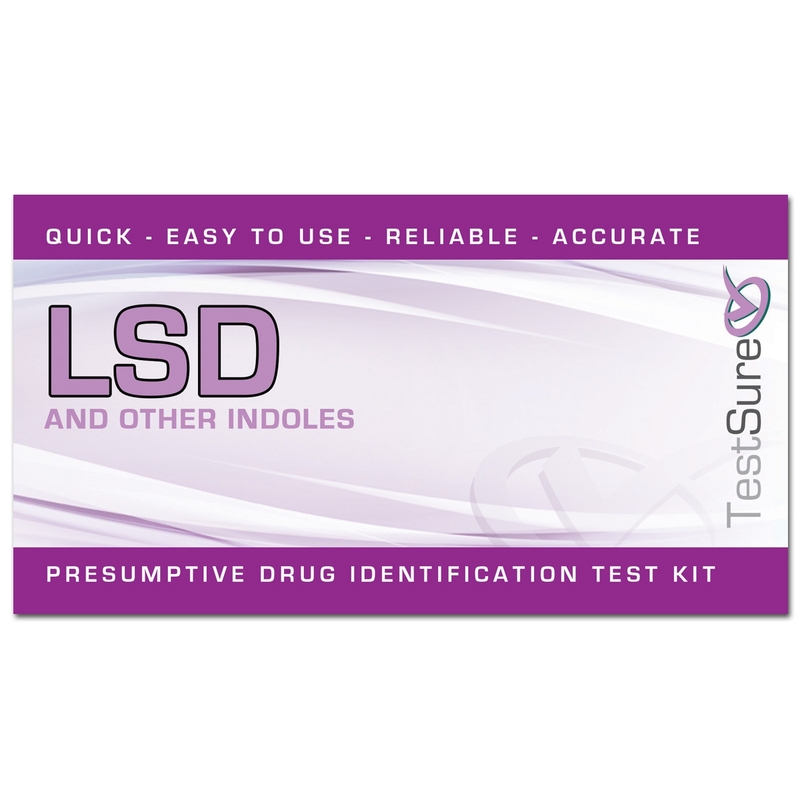 Click here to view/download our LSD reagent test kit instructions. 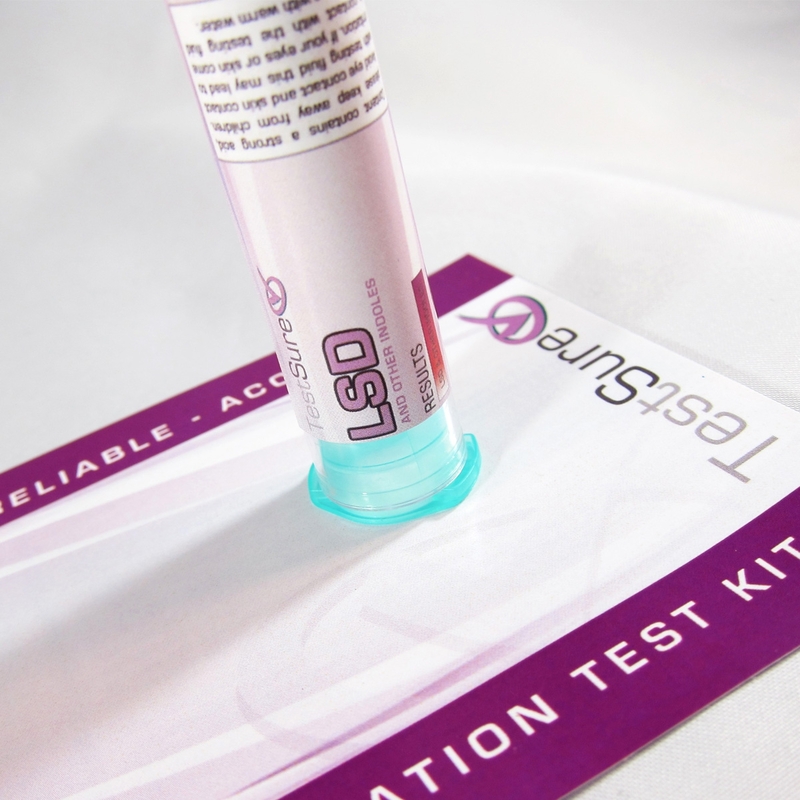 To determine if the substance being tested contains is LSD, compare the color of the liquid in the test tube to the color chart below. 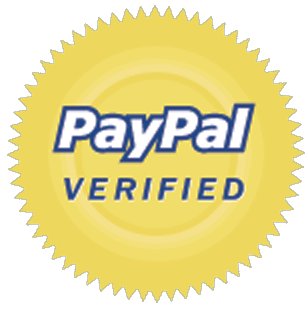 If any of the colors match, the substance contains LSD. 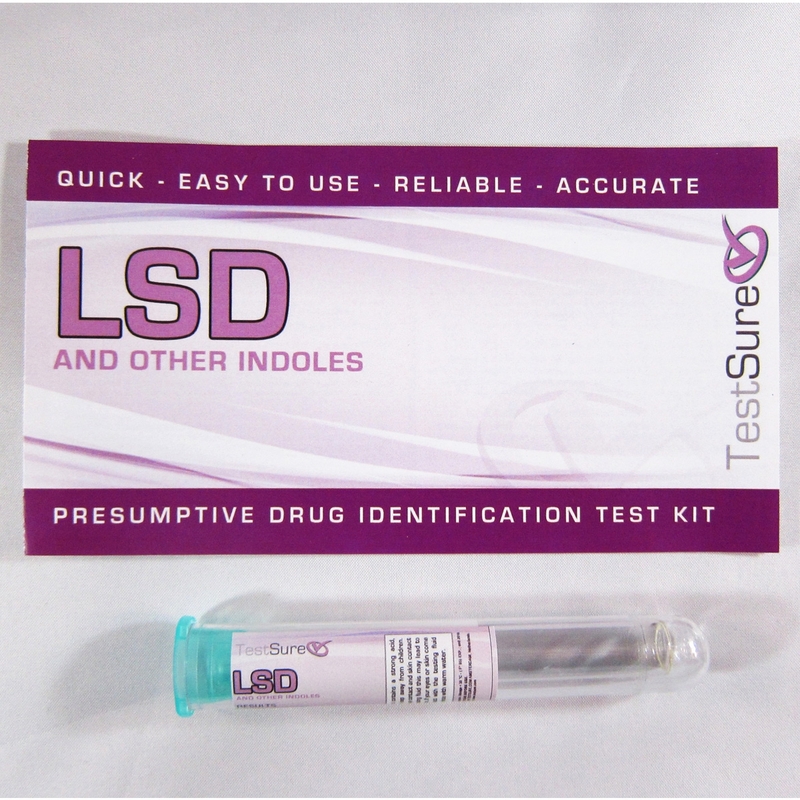 If it is showing a different color, or no color at all, the substance is not LSD. The deeper the color of purple of the chemical reagent, the more pure the sample of LSD.